HomeFor ClientsAnalyticsForex Analysis & ForecastsForex Technical analysis and forecastsForex Technical Analysis 2011/03/10. EUR/USD,Dollar Index, USD/CHF, AUD/USD, NZD/USD Forecast FX. 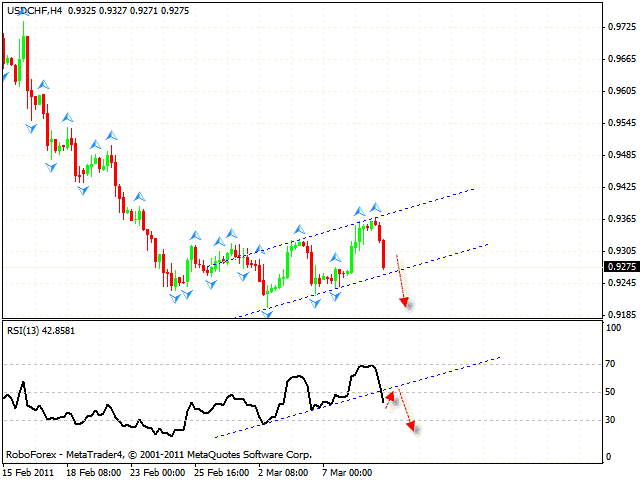 Forex Technical Analysis 2011/03/10. EUR/USD,Dollar Index, USD/CHF, AUD/USD, NZD/USD Forecast FX. The EUR/USD currency pair is moving according to the eurusd forecast. Currently one is recommended to hold long positions on the pair. The target of the growth is the area of 1.4135.The RSI indicator was supported by the trend’s rising line, which is one more signal to buy the pair. The target of the indicator’s growth is the channel’s upper border. 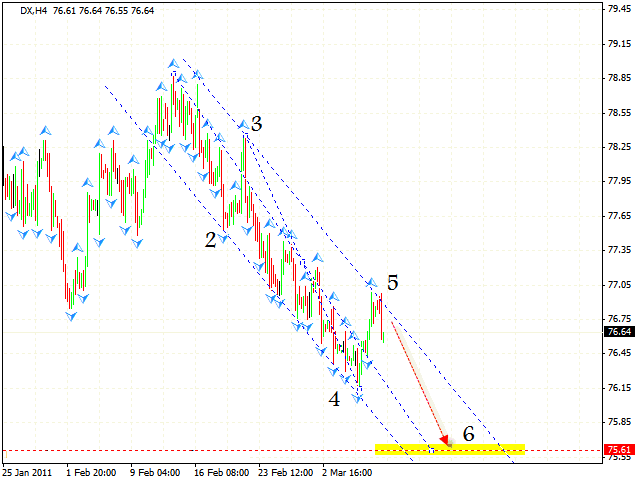 In case of Dollar Index we have descending symmetrical pattern forming with the target in the area of 75.61. The price is testing the channel’s upper border, we should expect it to hit the border and move downwards. But if the price breaks the channel’s upper border, this case scenario will be cancelled. 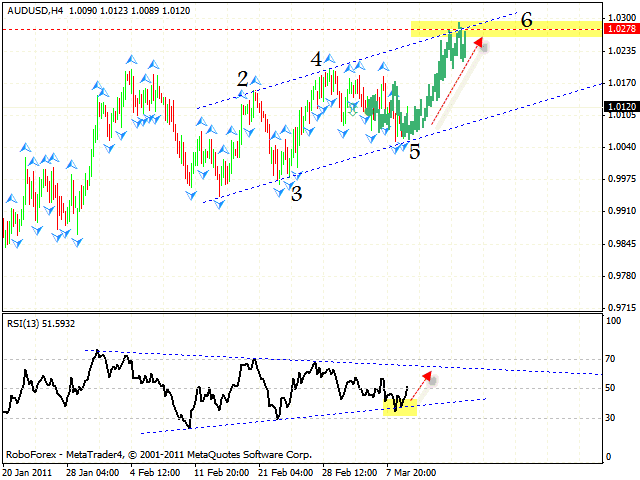 Franc is moving according to the technical analysis usd chf. Currently we can suppose that the price will start moving downwards. The RSI forex online indicator has broken the rising trend’s line, we should expect the similar line to be broken at the price chart. 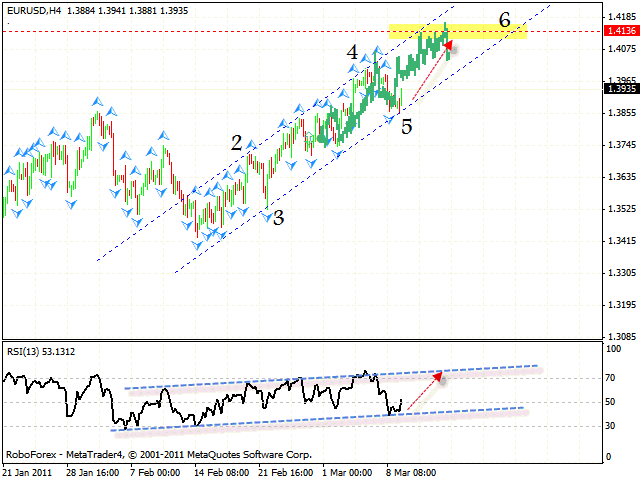 One can consider selling the pair after the RSI is back to the broken trend line. Australian Dollar also started to grow. According to the aud usd analysis the target of the growth is the area of 1.0278. At the RSI indicator the closest resistance level is the “triangle’s” upper border. If the price leaves the channel, this case scenario will be cancelled and we will recommend you to close long positions. New Zealand Dollar has left the “triangle” at the RSI indicator, we should expect the price to start moving upwards with the closest target in the area of 0.7468. 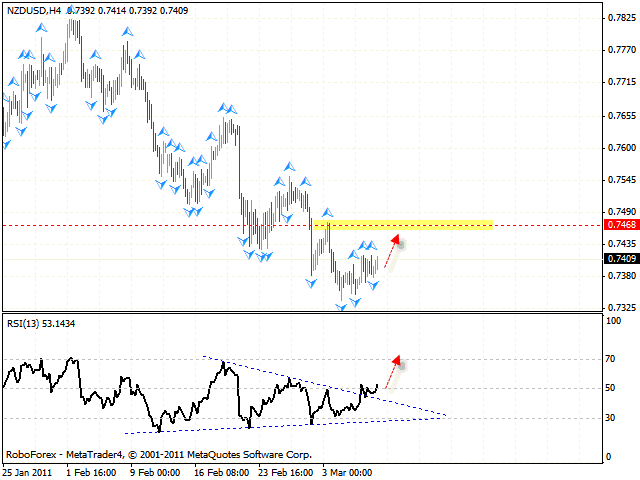 Judging by the nzdusd forecast you can try to buy the pair with the tight stop. If the price goes down to the level of 0.7370, this case scenario will be cancelled.